Behavioral and social factors play a critical role in health and healthcare services. Qualitative methods are most suitable to investigate these factors and improve patient outcomes. Housed within the Department of Surgery, the WiSOR Qualitative Core offers faculty and staff consultation, support, and expertise on study design, methodology, data collection and analysis, and interpretation of results. 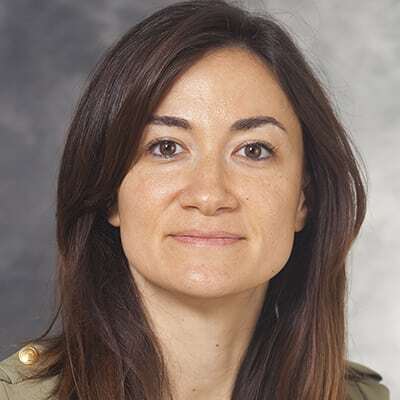 The Core is led by Esra Alagoz, PhD, a scientist with a background in education and qualitative research methods. The Core also includes Megan Saucke, MA, a master’s level researcher as well as a team of trained students who transcribe audio recordings of interviews, focus groups, and doctor-patient conversations. Our services are available to members of the UW-Madison community who are involved in health-services research. Priority is given to Department of Surgery faculty, and service requests outside the Department of Surgery will be evaluated on a case-by-case basis. For more information, please contact Esra Alagoz at alagoz@surgery.wisc.edu, (608) 263-3151, or fill out our service request form. Our transcription team is responsible for producing high-quality transcriptions of recordings of interviews, focus groups, and doctor-patient consultations. All transcriptionists are certified in HIPAA Training and Human Subjects protections. Fees for transcription services start at $20/hour, with an estimated ratio of 3-6 hours of transcription per hour of audio, depending on the number of speakers and quality of the recording. Turnaround time for each transcript ranges from five to ten days, depending on the number of recordings awaiting transcription. Contact Esra Alagoz at alagoz@surgery.wisc.edu, (608) 263-3151, or fill out our service request form. Esra Alagoz, PhD, is a qualitative scientist in WiSOR with a background in education and qualitative research methods. She completed her doctoral training at the University of Wisconsin-Madison in 2011 studying educational technologies with a focus in online social interactions. She investigated the aspects of textual synchronous communications that result in better engagement and motivation for the users through qualitative methods including ethnography, in-depth interviews, focus groups, case studies, and participatory action research. Previous to her position at WISOR, she worked as a scientist, where she studied the use of mobile health and Web 2.0 technologies including social networking tools, online support communities, as well as telehealth and video games to support recovery from substance use disorders. She has extensive experience analyzing large-scale qualitative data sets using a variety of methods including communication analysis, qualitative content analysis, and thematic analysis. 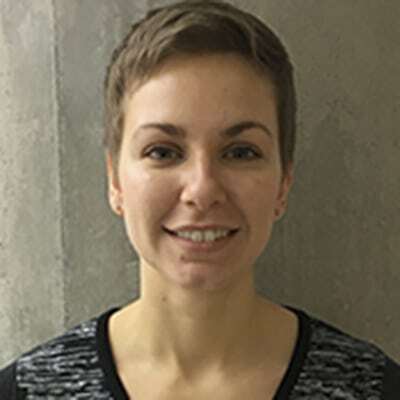 Megan Saucke, MA, is a researcher in WiSOR with a background in sociology and qualitative research. Prior to coming to UW, Megan conducted research at Syracuse University and the University of California, Davis, with a focus on intersections of gender, race, and culture. Her skills include design and development of interview guides, focus groups, stakeholder meetings, and surveys; conducting in-depth and semi-structured interviews; facilitation of focus groups and stakeholder panels; inductive and deductive content analysis; stakeholder engagement; writing and editing; literature reviews; and regulatory compliance/IRB protocols.